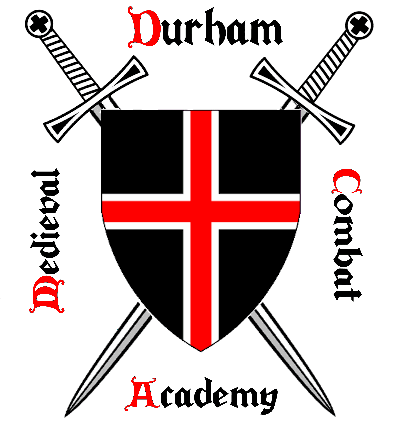 The Durham Medieval Combat Academy (DMCA) is an independent study group run by medieval combat enthusiasts. 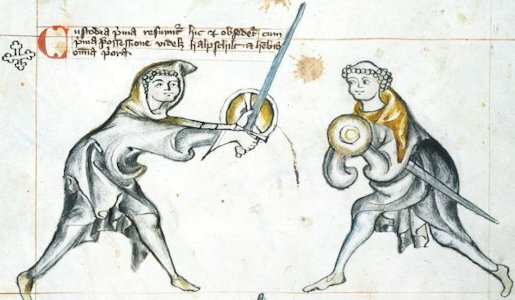 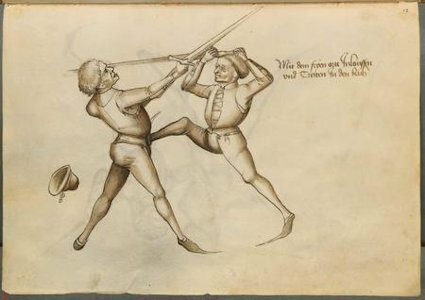 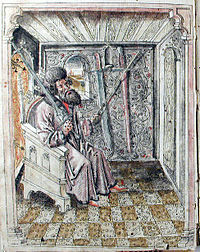 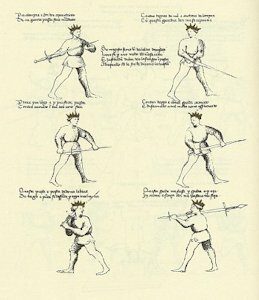 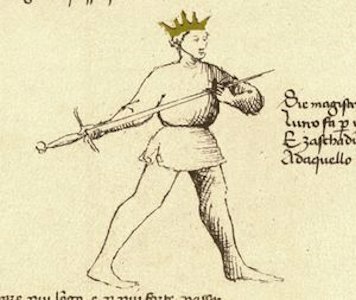 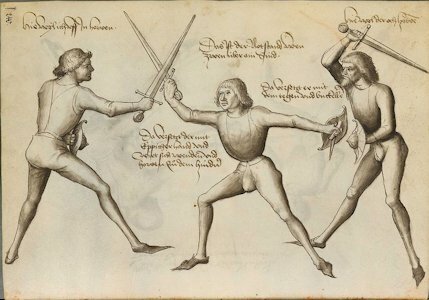 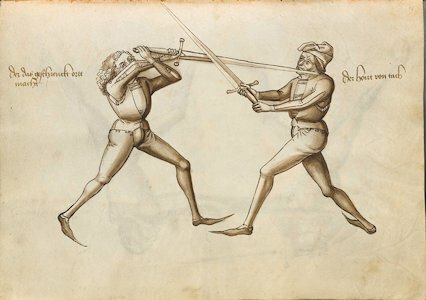 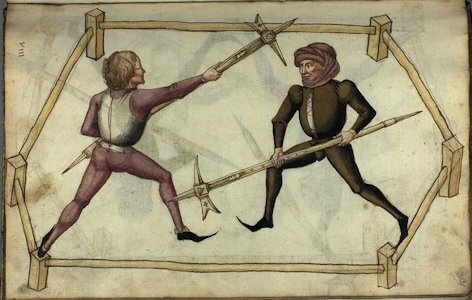 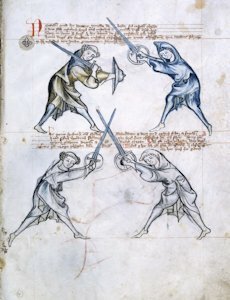 Its aim is to provide an environment for the study, teaching and practice of Historical European Martial Arts (HEMA), focusing on medieval weapons such as the longsword as documented in manuscripts from the 13th to 15th century from masters such as Liechtenauer (Ringeck) and Fiore Dei Liberi and manuscripts such as MS I.33. 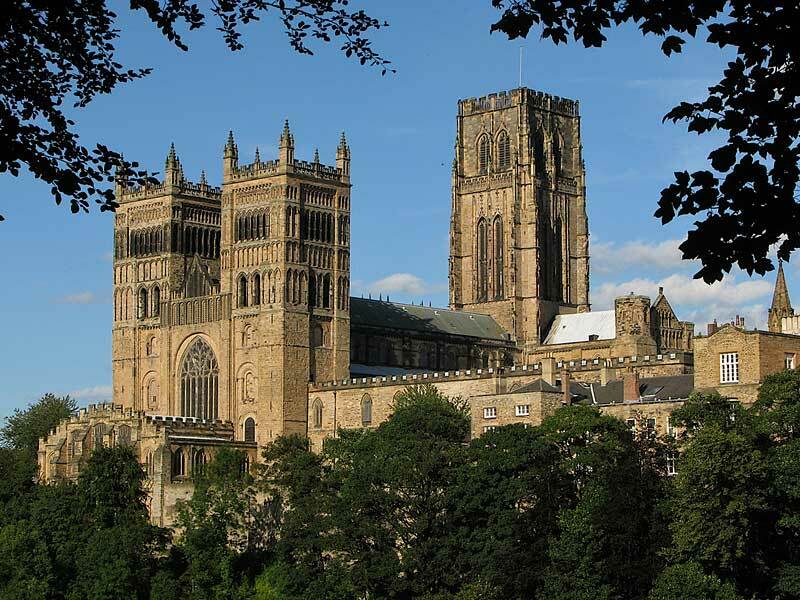 It is run as a not-for-profit and non-professional organisation. 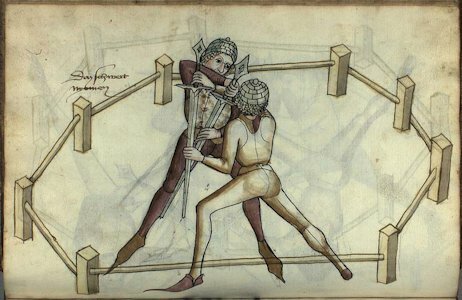 If you are not actually interested in HEMA but are instead looking for medieval reenactment, may we suggest to check some of us at Dawn of Chivalry, a 13th century knight tournament reenactment group. 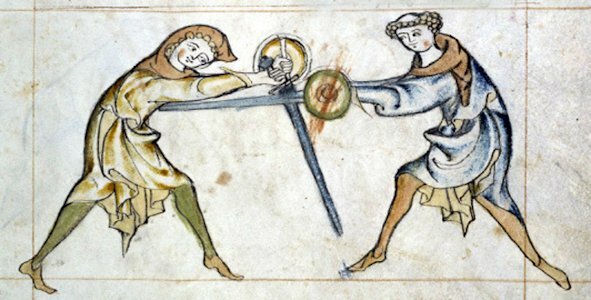 The academy’s aim is to provide a study, learning and practice environment for people interested in medieval HEMA, initially using longsword but extending in the future to one-handed sword, sword and buckler and poleaxe. 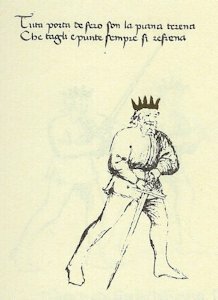 The academy is designed as a study group. 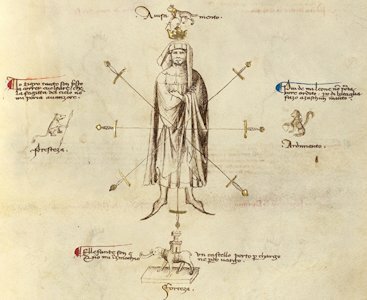 It operates with a rather flat structure to reflect this ethos, being as flat as possible in terms of hierarchy, making all members equally valued and capable of contributing to the activities. 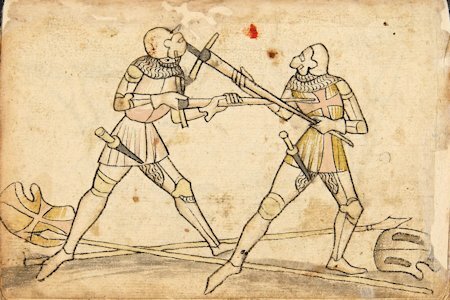 The academy therefore operates with only three “ranks”: Novice, Sergeant and Knight. 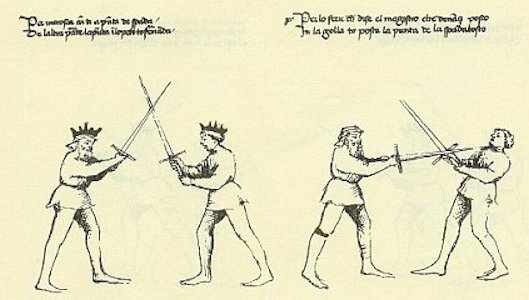 A Novice is a prospective student (duration: 4 lessons) who has not yet joined the academy as a full member (i.e. 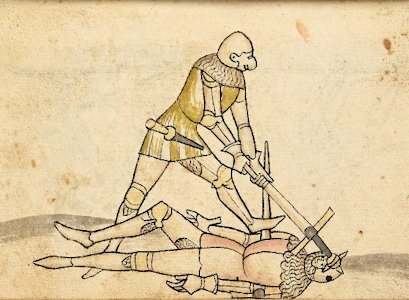 paid a subscription for the insurance). 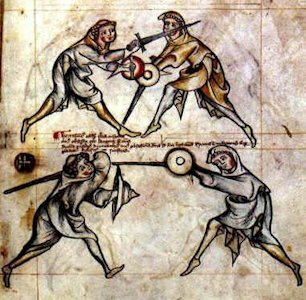 A Sergeant is a full member who is a novice in HEMA and therefore does not yet have the basics that allow them to run a class as instructor. 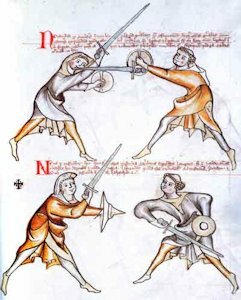 A Knight is a member who has the capability of taking the lead in running a class and therefore to operate as instructor. 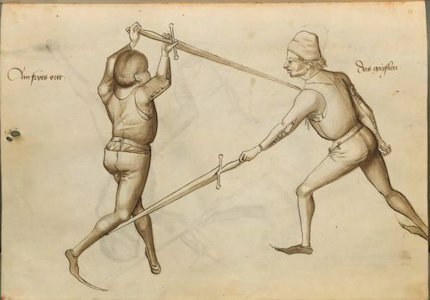 That involves preparing teaching material, demonstrating it, and providing feedback and guidance to other students. 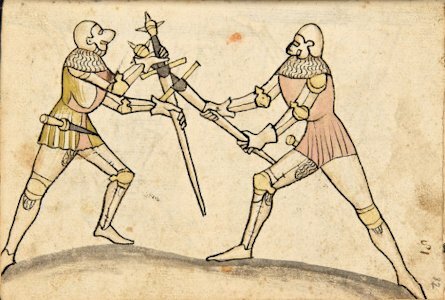 There is no pressure for a knight to take part as instructor, they simply have the capability and opportunity to do so. 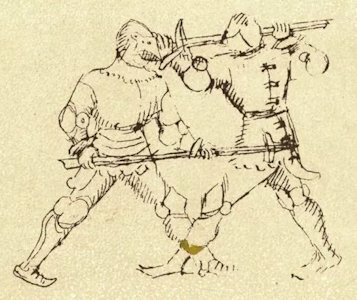 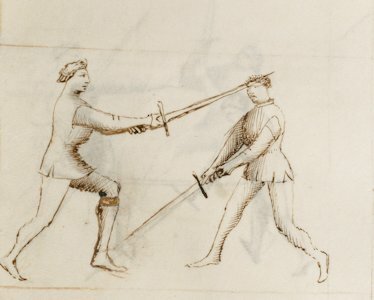 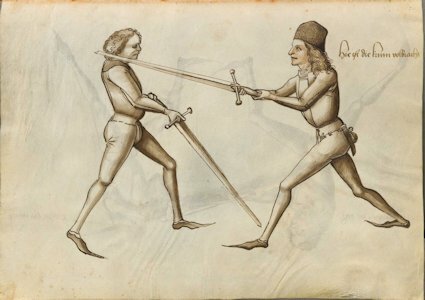 At times, the instructors may decide to step into the shoes of fencing masters: instead of teaching dogmatically, we will allow ourselves to experiment from the basics and discover what techniques make sense martially in situations not covered by original manuscripts. 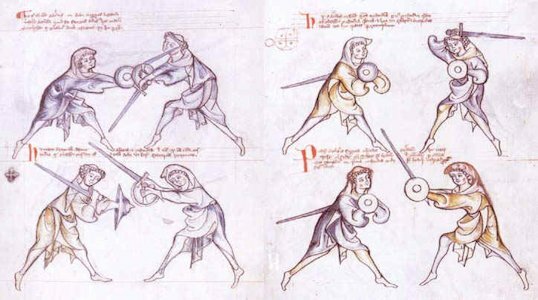 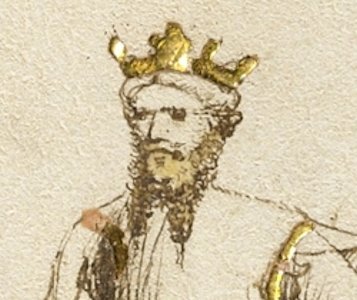 This is after all the way medieval masters originally discovered their wonderfully efficient and graceful techniques in the first place. 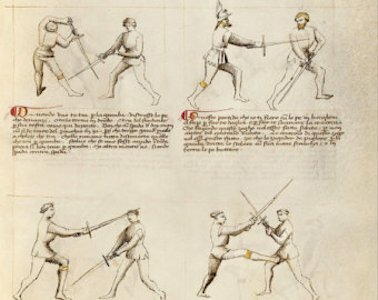 The academy is simply run by enthusiasts for the benefits of other enthusiasts and is setup as a not for profit organisation. 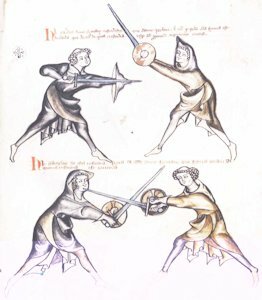 The academy’s practice should appeal to people interested in medieval combat in its wider sense, for example to people who are reenactors (medieval period), LARPers, stage combat enthusiasts, sport fencers, etc. 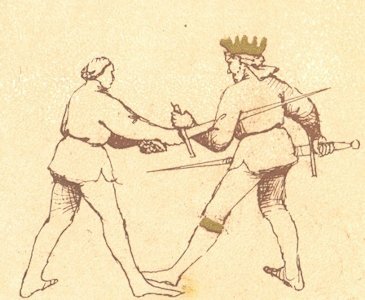 The academy will provide teaching whatever your level of competency, from total HEMA beginners to established practitioners. 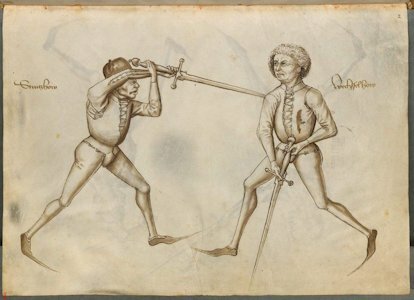 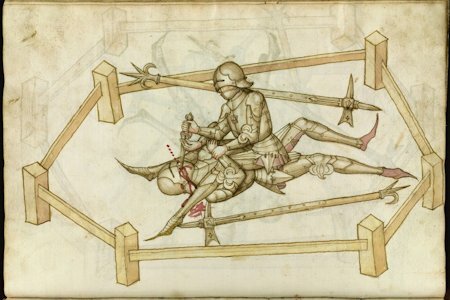 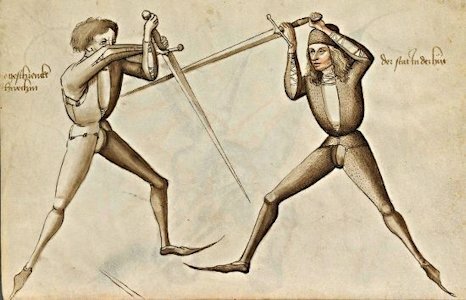 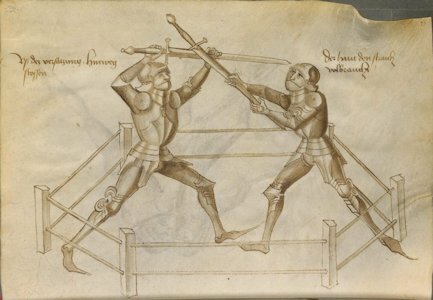 "...Practice knighthood and learn the Art that dignifies you, and brings you honour in wars..."
Master Johannes Liechtenauer, 14th Century.